UK: A report into digitalising the UK's industrial strategy has found the offshore wind sector faces a number of challenges, including a "shortage of skilled engineers". The Made Smarter review, announced in January 2017 and led by Siemens UK CEO Juergen Maier, considered the potential for digitalisation within the UK's offshore wind industry to be "significant". Techniques utilising big data and sensors have strong export potential; advanced digital simulation could improve UK content in offshore projects, particularly in floating foundation design; the integration of wind in the UK grid using digital forecasting could be further exploited; and the potential use of robotics for operation and maintenance services provides opportunities, the report said. However, there are some barriers to digitalisation, the review found. In addition to a skills shortage, this included the need for greater stability in government approval system and more collaboration with other, relevant technological sectors such as aerospace or nuclear. "The UK sector faces the challenge of continuing... field deployment in the face of skills shortages, the need to industrialise new technology (such as floating foundations) and the tensions over UK content...", the report said. "The skills required within the sector are similar to those existing within other sectors, such as general manufacturing and the offshore oil and gas sector. The sector has a strong tradition of delivering engineering skills at all levels from apprenticeships to post graduates and this forms part of the industrial base of the UK. 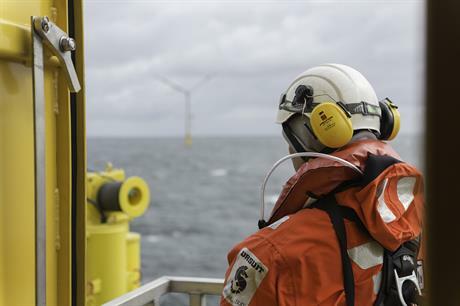 "The jobs potential created by offshore wind is significant, with the industry set to support up to 60,000 direct and indirect jobs in the UK by 2032, making a compelling case for ensuring the right skills are developed today for the needs of tomorrow. "The maturity of the offshore wind industry is evidenced by the EU wide supply chains for major capital components that are now well established which in some key high-value components (such as nacelles) lie entirely outside the UK. In some balance of plant components (such as cables), the UK has strong manufacturers that are now winning orders in the emerging markets of the US and Asia. "The growth of UK manufacturing would be helped by more stability in market demand through evolving a more stable government intervention method than the current auction methodology," it added.